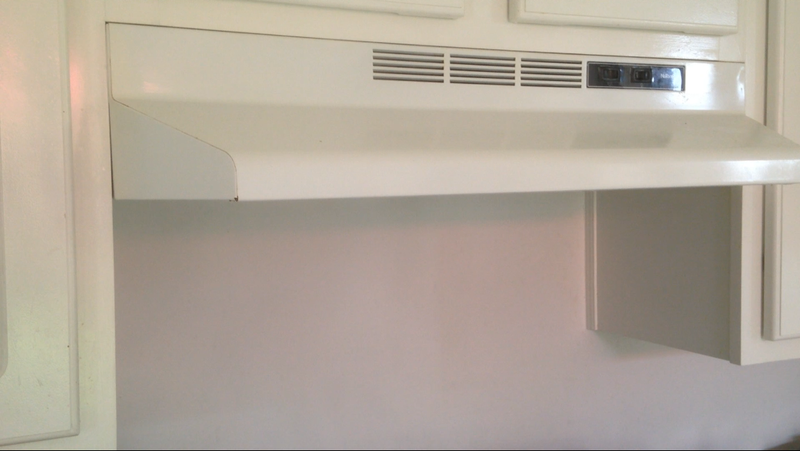 After installing our hood vent in summer 2014, which necessitated the removal of some of our wall cabinets, the kitchen took a turn for the worse functionally and aesthetically. 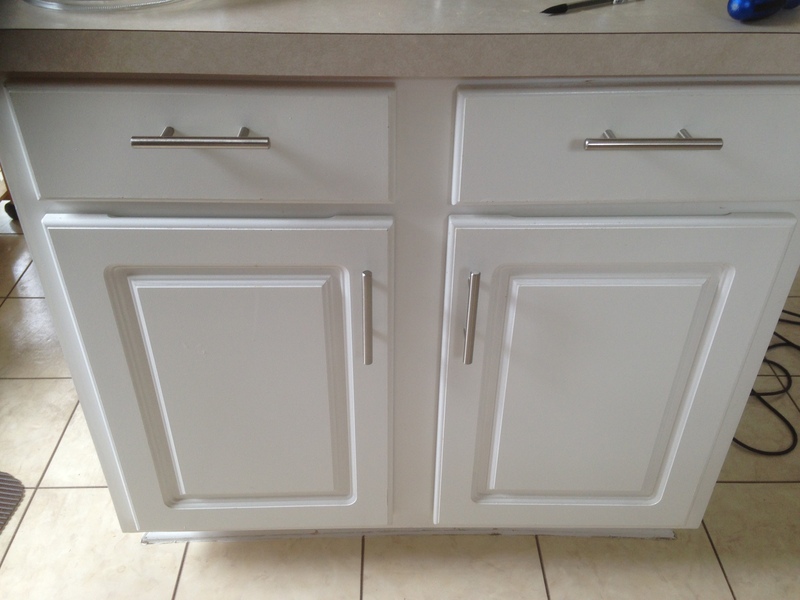 We added some hardware to facilitate drawer and door opening, but the loss of so many upper cabinets was rough. We painted to help the kitchen feel happier until we could do a real renovation. In the interim, we began discussing ideas for our future kitchen. Almost immediately, we began dreaming of relocating the refrigerator: Its position in the southeast corner meant we could never open the refrigerator door fully. Stuffing pizza boxes, jugs of milk, watermelons, holiday turkeys, etc. in the refrigerator was next to impossible, but even regular things like heads of lettuce, bagged carrots, and leftovers saved in Pyrex containers proved difficult. While buying a French door fridge might help matters somewhat, we were also frustrated with the inefficient pantry on the opposite end of the kitchen (deep but not wide = digging out 10 things to get 1 item at the back). While having a pantry is nice, we decided we’d rather have more cabinets and counterspace…and was it remotely possible that the fridge would fit in the pantry’s spot if we tore down the pantry?! We couldn’t shake the idea, and after measuring, there was joyous celebration in the KaZoo Kitchen for the kitchen-to-come. and tore into the drywall above the pantry to check things out. Our basic understanding of structures was telling us we were looking good, and after getting a licensed professional to confirm our suspicions, Mission Fridge Move was a go! That’s when the fun of Demo Day began. Kicking down drywall is so…satisfying! Once the pantry was torn out, it was amazing how open the kitchen felt! While we had attic access above the old pantry/new fridge location, my dad and I installed a new electrical circuit and outlet so that the refrigerator would have its own independent circuit. My dad is a professionally licensed electrical engineer, and while I could do the wiring myself now after years of helping him, I’d rather have a professional on the site. 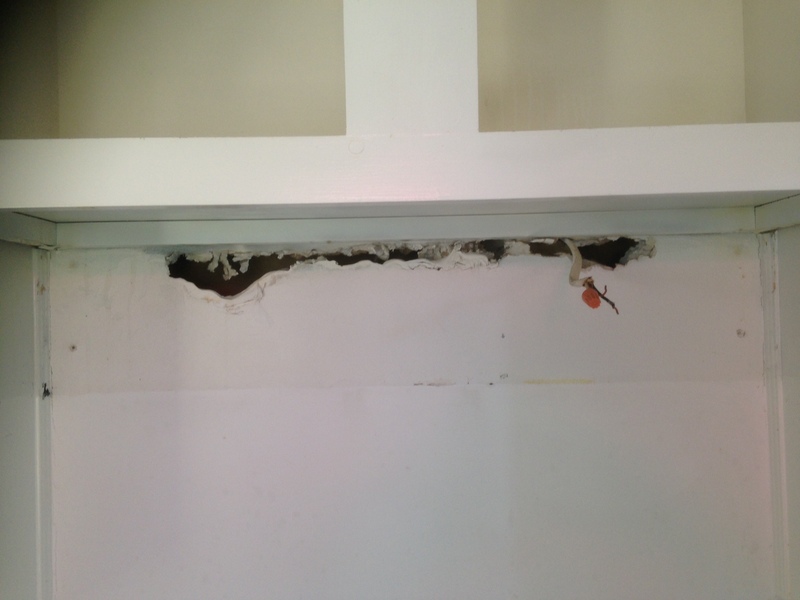 There’s a lot of shoddy DIY structural, electrical, and plumbing work out there that might get missed in a regular home inspection that can be the ultimate nightmare, so be skeptical of any home that’s obviously been renovated (especially if you see signs of bad workmanship, like the worst painted-over, patched drywall you’ve ever seen). Chances are, those homeowners may not have gotten the licensed professionals, permits, or inspections necessary to ensure a quality job. Installing or moving electrical, structural, and plumbing is a huge deal. Just because a friend or family member ‘taught’ you how to do something back in the day doesn’t mean it’s up to current code or would meet the code for the state in which you now live (Florida and California have specialized requirements, for example). Calling a professional is not a sign of weakness; it is a sign of intelligence. We then took out the island, scraped and cleaned the remaining vinyl tiles up, lay the underlayment, and tiled the first part of the kitchen. We also patched, taped, mudded, and sanded the drywall in the new-fridge area. 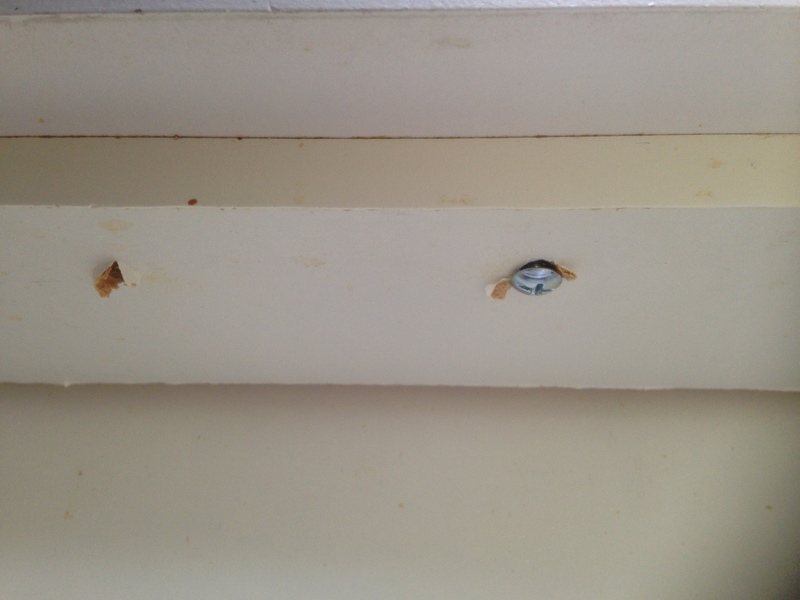 After allowing those tiles to set, we took out the rest of the cabinets, only to discover damaged drywall behind the sink, where the previous residents clearly had experienced a leak at some point. We expected some damage because of the water damage we had seen in the cabinets, but it was more extensive than we had hoped. We had a mold inspection when we purchased the house that came back good to go (otherwise we would not have purchased the home), but we definitely wanted to get rid of the water damaged drywall (and the insulation behind it) ASAP, now that it was exposed and accessible. At this point, our fridge got to move to its new, happier home. Behold the wonder and glory of being able to open the doors completely! Can’t you hear angels singing? Hallelujah! We can. Every time I open the fridge now I can’t help but smile. You’ll note that we left the wall to the left of the fridge (a) because it had the kitchen switches on it) and (b) because we wanted the wall to hide the fridge from the view in the rest of the main living and dining area, which it does rather well. Anyway, out went the damaged drywall, followed by the insulation, as carefully as possible to minimize possible mold spore diaspora. We took out everything in all areas evidencing any water damage plus a bit beyond the damage, both vertically and horizontally, just in case. The studs were fine, though. Whew. We installed new insulation and mold resistant purple-board (the new green-board), which was made easier with a compass-like drywall cutter than enabled us to cut clean circles for the pipe fittings and wiring. We taped and mudded the new drywall, then lay more underlayment. The floors would already have been finished, but we wanted to keep our range connected to the gas, which has meant flooring in phases. Mista Lista is back, baby! Since the entirety of the ‘Zoo has been a construction zone for awhile, Mista Lista took a long vacation. A sabbatical, if you will. Now refreshed and ready for the new year, Mista Lista is back on the blog to share a sneak peek of what’s on the schedule for 2016 in the ‘Zoo. Mista Lista has noticed the KaZoos aren’t the best at finishing projects on schedule (Can I get an amen? ), or remotely close to schedule, for that matter. I call it Creative Minds Meets If You Give a Mouse a Cookie Complex. Creatives aren’t always known for progressing sequentially and logically along the shortest possible path to the endzone. They zig. They zag. They occasionally throw a series of backward passes. Wait a sec, that’s football. My bad. Creative types often start a number of projects that sit in various stages of semi-completion as their enthusiasm for one idea is soon overtaken by inspiration for another. Their creative energy is diverted again, and again, and again, leaving them with a garage full of tools/supplies and a house full of construction projects hazards. And of course, this haphazard completion is helped (?) along when the beginning of Project A leads to the beginning of another related Project B. For example, when the KaZoos wanted to install their range hood vent, it meant tearing down the upper kitchen cabinets first to make room for said hood vent. But cutting holes in the roof for exterior ventilation meant getting someone to cut the hole in the roof and seal the opening (that would guarantee the work). And given the existing roof was nearing the its end of life, shouldn’t they just go ahead and replace it while the guy was coming out to look at the roof? And on the story goes. Anyone else need a cookie and milk after that? I thought so. We’ll start with the most depressing and boring project, Mrs. KaZoo’s dissertation. Yup, this project is getting knocked out in 2016. I realize this probably doesn’t interest (m)any of you, so enough about that. Mrs. KaZoo plans to finish the king quilt she started two (three?) years ago so that the KaZoos have cooler covers for the warm summer weather. The KaZoos have had a partially fenced backyard for months now-the result of working steadily but slowly to replace fence panels as time and money allowed. As the KaZoos near the year anniversary of starting their fence job (March), they plan to have this baby complete and inspected before winter is over, or February. They actually tackled the back gate the previous weekend, so here’s hoping they can get a few more panels and the last two gates done in the next couple of weekends. It’s time for the fireplace to get some more love, just in time for Valentine’s Day, perhaps? The KaZoos built footings for the mantel last weekend, so all that’s left is to reinstall the mantel, caulk, paint, and tile the fireplace surround. And calling a chimney sweep to clean things up from the renters who tried to burn wood in a fireplace designed for gas logs. I know, right?! The longest project in the history of the ‘Zoo. Seriously. What’s left, you ask? Laying underlayment in the guest wing, tiling and grouting the guest wing, and tiling and grouting the master wing. Oh, and the kitchen and master bath after those get demolished. Once they get the floors finished, the KaZoos plan to install new, chunkier baseboards. The Kazoos need to touchup the paint in a few areas around the house. Seriously, people. A finished paint job makes everything look more polished. The KaZoos also have a BIG kitchen reno in the works. Design, demo of existing pantry, relocation of refrigerator and waterline, new drywall and paint, purchase and installation of new cabinets and countertops, you know. All in a day’s work, right? Smirk. 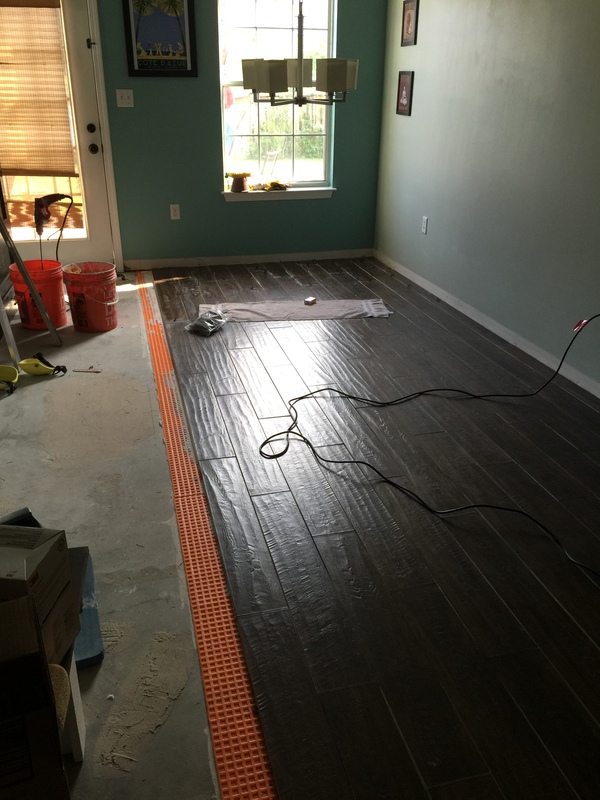 Remember when we were I was all sorts of ambitious and thought we could complete a whole house flooring project in forty days? Smirk. In my defense, it has been an unusual summer. My grandfather passed away at the end of June, one of our dear family friends passed away in August, and Chris started a new job (vacation days now reset to zero). Life happens, or so ‘they’ say. Death happens, too. Trouble is, I’m starting to realize that this is the new normal. As a young adult, I developed into a planner and hard worker, carefully setting goals, making schedules, checking off to do lists, all in the interests of achieving and earning the right to enjoy the ‘one day’ that I had envisioned retirement being. My family has a work now, play later mentality. We handle delayed gratification well. Except not so much anymore. I’ve watched my parents work very hard for many years, but to what end? Caring for people with dementia/Alzheimer’s disease is definitely not the peaceful retirement life I imagined. Having dementia/Alzheimer’s isn’t either. At 31, I’ve finally realized that there is no ‘one day’–at least, not in this life. If we live for ‘one day’, we will miss today. And tomorrow makes no promises. One day our floors will be done. It won’t be today, tomorrow, or anytime soon. As tired of living in chaos as I am, I am slowly accepting that chaos is normal for people who bought a fixer upper and are fixing it up as time and money allow while living in it. Also insanity. Plus, as a DIYer, the day ‘one day’ arrives is a death sentence. This means you have ‘finished’ your space, and there is nothing left to do to improve upon it. But one day will never come, because there will always be something new that catches your eye and inspires you to tackle another project. In this sense, one day simply isn’t coming because there is a part of us that refuses to let it. My creative desire to prolong one day clashes with my perfectionist need for one day to have come yesterday. For the floors to be done and for everything to be back in its place so that we can host dinner parties. For me to have the time to host dinner parties. For me to have the time (and space) to make dinner. For me to have the time to eat dinner. Kidding, I ALWAYS make time for eating dinner. Dreaming and planning, like most things, are good in moderation and can bring joy. But for a recovering perfectionist like me, I have come to the conclusion that dreams and plans are also killjoys, stealing my ‘todays’ while I’m caught up in the ‘one days’ they promise to deliver. Like the plans I made to accomplish ALL THE FLOORS! in forty, no fifty, days. My plans whispered, Follow me, and you’ll have everything back to normal in no time at all! Fool that I am, I believed their lies. In Harry Potter and the Sorcerer’s/Philosopher’s Stone, when Harry is held captive (figuratively) by the Mirror of Erised, Dumbledore cautions, “It does not do to dwell on dreams and forget to live.” Despite how many times I have read this book/watched the movie and thought this was sage advice, only now do I feel the depth of the knowledge and experience bound up in Dumbledore’s words. It is one thing to know something in your head and entirely another to know it in your heart. Our neighbors have stopped asking us if our floors are finished yet. Smart people. The eardrum shattering whine of the wet saw tells them we are making progress slowly and steadily. They know we’ll invite them over to see the finished product. One day. We’ll be spending this Labor Day weekend grouting, cleaning, and moving furniture back into place so we can switch to working on the rest of the house (and stop paying rent on our storage unit-ugh). We will also be knocking out some of the fencing this weekend, too, if time allows. Fun times. We aren’t quite finished with the range hood situation, so today we’re sharing a smaller yet satisfying kitchen upgrade: cabinet hardware. 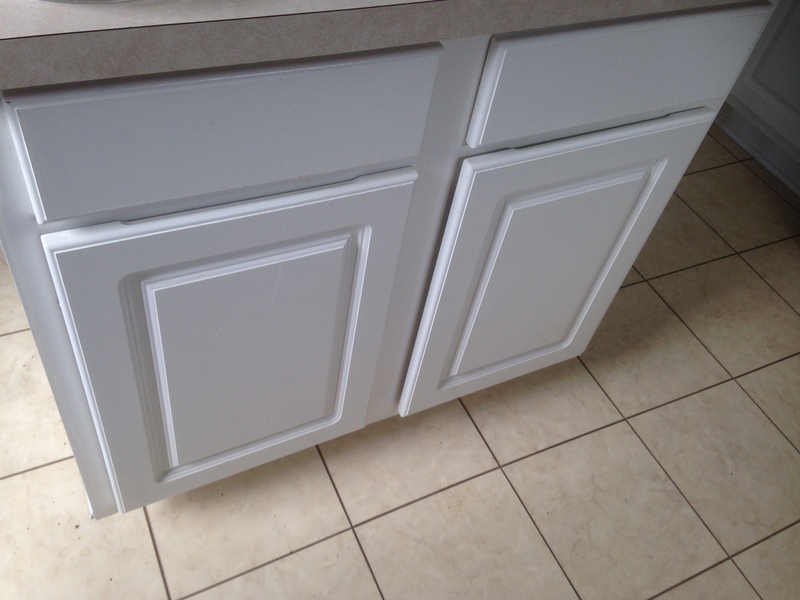 One of the most annoying things about moving into this house was how difficult it was to open our kitchen cabinets (and bathroom cabinets) without hardware of any kind. Although the doors and drawers technically had that weird routed out part of “wood” you could grab to pull, the cabinets had been repainted at some point before our time with semi-gloss paint (when the humidity in the house was relatively high), so we had to play tug-of-war to counteract the gloss-on-gloss stickiness. After a few months of this, we were ready for some hardware. We prefer pulls to knobs, so while we were at Lowe’s using our other 10% off coupon, we grabbed a couple of contractor packs of simple brushed nickel pulls. We thought these would best complement our growing collection of stainless appliances but not draw too much attention to the cheapness of the existing cabinets. My dad offered to install the first drawer pull as a test-run of what we would need to do for the rest. I helped him measure and mark the locations of the holes we would need to drill. The distance from the center of one pull leg to the other (leg = where it attaches to cabinet) was 3 inches, so we measured the length of the drawer to find its midpoint and then measured 1 1/2 inches to the left and to the right to mark the holes. We decided to place the handles at a 2/3 height from the bottom of the drawer face rather than exactly halfway because they looked a bit low at the halfway point. Although playing with thirds can be tricky, the 2/3 height turned out to be right at 3.5 inches from the bottom of the drawer front. As you can see in the picture above, we had to drill through the interior wall of the drawer and then into the drawer face, but the screws included in the hardware pack would not be long enough to go through both and stick out enough on the front to screw into the pull. My dad suggested a drilling sequence of (1) pilot hole, (2) large hole in interior wall for screw head to pass through it, (3) small hole for screw to pass through drawer face. It worked like a charm. After my dad left, I measured and marked all the remaining drawers and doors on the lower kitchen cabinets. For the doors, I just found the midpoint of the flat face on the opening side of the cabinet to center the pull and then used a level to mark a tiny line across the top of the recessed panel on that same flat part for the height of the pull. Once Chris got home from work, we installed all the remaining hardware. We didn’t put any pulls on the uppers since we knew those were going to be coming down anyway to make room for the range hood. Now that we’ve had pulls for a few weeks, we both agree that they are a small upgrade that makes a big difference in our kitchen’s functionality. We plan to reuse the pulls when we eventually upgrade our cabinets (plus a few extra we have in reserve for adding more cabinets at that point), which also makes it a worthwhile investment that we can continue to enjoy down the road. If we were going with special order fancy pants pulls, we would not have bought hardware in advance of our major upgrade down the road in case of running out of pulls and not being able to re-order more, but since we went with the plain Jane pulls, we were able to buy enough at a decent price to have plenty for the upgrade later…and they are likely to stay in stock if we did run out for some reason. For the time being, it’s nice to have a handle on the kitchen (and everything in it). 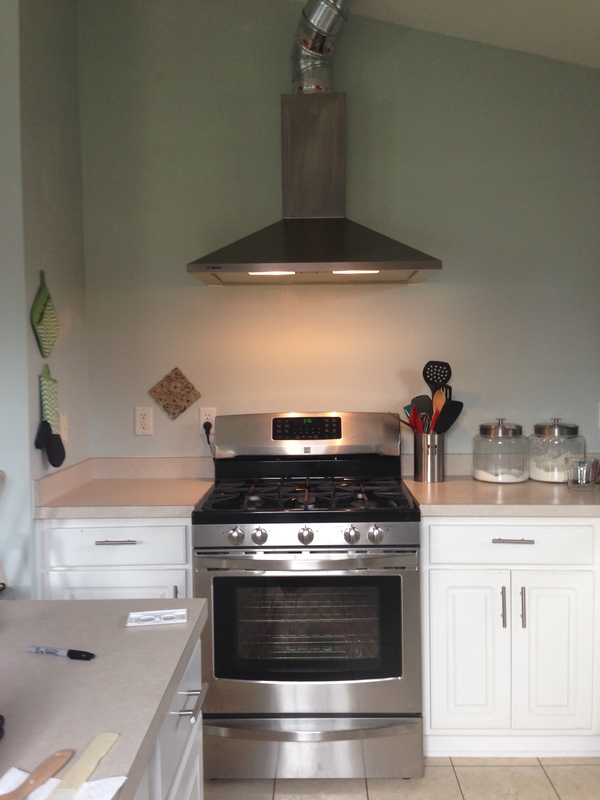 Substituting the existing fridge with ours and installing a new gas range were major improvements, but after Chris began cooking on the gas range, he realized the ineptitude of our recirculating range hood meant another appliance purchase. Best way to describe it? It performed at two settings: wimpy and wimpier, accompanied by a whining sound to mask its false industry. 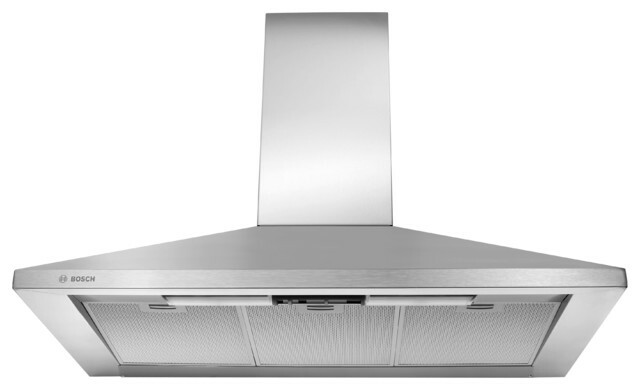 Meanwhile, I was still living in the city, so I began trolling Craigslist for possible options, where I spotted an ad for this Bosch chimney hood for $350 (retails for $899-$999). The price was a little higher than what we would pay for a nice recirculating hood at a big box store, but it was also a much better hood than those we could normally afford. Plus, it’s better to vent outside, especially with gas, so we thought it might be worth investigating. I called to ask some questions and found out it was being sold by a kitchen/bath design store because it was installed in a kitchen model but never used. It had some scratches that didn’t seem too noticeable, so we decided if it was still available the following weekend, we would take a look. Why wait, you ask? We wanted to give the purchase some thought since it was really more than we’d originally planned to pay but knew it was a great deal. Sure enough, the hood was still available the following weekend, and it was way more functional than our existing hood. After I pointed out a gouged out section in the insulation for the electric cord that had not been mentioned in the ad or when I called to inquire about it (they hadn’t noticed it because it was on the side of the cord you couldn’t see without really looking closely and feeling around), they agreed to knock the price down to $325. We walked away with the hood for $358 (we did have to pay tax because we bought it from a home design store but thought it was worth it). We also had to purchase a mounting kit ($11.97) and brackets (2 @ $7.99 each) plus $8.99 shipping because the person who uninstalled the hood from the model kitchen didn’t keep all the parts. We also purchased some Sugru from Amazon for $22 to patch the insulation instead of buying a $27 plus shipping for a replacement cord, bringing our total purchase to $416.94. Compared to buying it new at the lowest retail price we could find, we had a total savings of $482.06. Time for Amy’s demo dance (yes, this is a thing)! Apparently the builder’s crew didn’t install an outlet for the hood and couldn’t find where to hardwire it, so they hired a woodpecker drilled holes in the drywall until they found electrical. Then they didn’t bother to clean up their mess because it was hidden by the old hood. Classy, huh? This means we will be installing a new outlet and doing some serious dry wall patching in addition to taking down the upper cabinets so the new range hood can be installed. While we’re doing electrical work, we’ll go ahead and install the outlet for the range that was missing (you can read more about that here). Keep your wires fingers crossed that all goes well!